 This page contains the strand information for the 2018 AVID Australia Summer Institute. Here you will find descriptions of all the strands that are being offered at the Institute this year, and recommendations about the target audience for each strand. When selecting strands, it is best to take into account the needs of the site team at your school. Please note that strands need to attract a minimum number of participants to be able to run. If you are unsure which strands to book staff in for, please contact the AVID Australia team and we will be happy to help. There are five new strands this year along with three revised strands. The “star” icon indicates which strands are new and the “R” icon indicates strands that have been revised. In the coming USA school year, several strands will be revised with the new digital teaching and learning focus incorporated. AVID Australia will introduce those strands next year (2019). Critical Reading, Leadership and Advanced Digital Teaching and Learning strands are being developed specifically for Google and Microsoft platforms. This strand is designed for schoolwide content teachers to support academic language and literacy in primary through higher education classroom settings. This strand focuses on language development for students for whom English is an additional language. Participants will connect WICOR (Writing, Inquiry, Collaboration, Organization, and Reading) with intentional language development practices and routines to strengthen listening, speaking, reading, and writing literacy for all students. AVID Schoolwide team members will gain insight and align philosophies to help their students navigate rigorous content, achieve academically, and adequately prepare for career success. This strand is designed for educators/school sites whose students are working at years 5–8 levels and who are new to AVID or would like to implement AVID strategies across disciplines. Bridges would be appropriate for educators at K–8AVID sites, or upper elementary teachers at established AVID elementary sites advancing implementation toward AVID Schoolwide. Participants will be trained in WICOR (Writing, Inquiry, Collaboration, Organization, and Reading) methodologies, strategies for student success, and building a culture of student growth mindset in order to facilitate students’ success in rigorous content across all content areas. Participants will understand the educator’s role in preparing an adolescent student to take the next step toward college and career readiness through individual determination. This strand will focus on developing proficient writers across a wide range of disciplines and will provide educators with strategies for teaching the writing process, academic research, building and understanding the four common academic modes of writing (argumentative, expository, narrative, and descriptive), and writing for a range of rigorous academic purposes. This strand is for any educator who wants to learn how to incorporate writing into their content or discipline and help students learn what it means to write like a content-area expert. Please note: AVID Center released two new writing strands this year. We will offer Content Area Writing: A Schoolwide Approach this year and the second strand will be available next year (2019). This will allow teachers to replicate a continuum of learning in writing pedagogy and practice over two years. This strand is designed for all subject-area teachers, as it builds a repertoire of explicit teaching strategies so that all teachers feel more confident and have strategies to teach the literacy of their subject. Critical Reading focuses on the explicit teaching of active reading strategies that help students gain a deep understanding of a variety of texts. Participants will engage in activities that demonstrate the proven effectiveness of WICOR (Writing, Inquiry, Collaboration, Organization, and Reading) methodologies. The Digital Teaching and Learning strand brings educators together to experience and explore digital strategies and resources, using collaboration, communication, and choice to engage students in their learning and knowledge creation. Come ready to connect with colleagues in building a technology-rich classroom culture, infusing AVID methodologies both digitally and face-to-face. This strand is designed to support experienced AVID Elective and Secondary Schoolwide teachers in blending WICOR strategies with technology tools to prepare students with the skills that they need to be post-secondary and work-ready. Participants are supported during the process with effective technology teaching practices, resources, and guidance on how to use technology to facilitate student learning and engagement. Participants must bring a laptop power cord, and earbuds/headphones with them to the strand. Device software and web browser need to be up to date. Tablets that can be used as laptops can be used, but other digital devices cannot be supported yet. Prerequisites: Participants should: have attended at least one Summer Institute strand or Path to Schoolwide training equivalent; Be familiar with WICOR instructional practices; Currently work with students who have daily in-class access to technology; Understand device classroom management and have experimented with lessons using technology with AVID instructional practices; Be able to navigate multiple browser windows/tabs and save and locate files on their device; Have access to a preferred cloud platform and be able to log in and create and share documents; Connect to a Wi-Fi network. This strand is for senior secondary school teachers experienced with AVID methodologies, and who have completed AVID Summer Institute Implementation strand. It focuses on four academic skills essential for academic success in years 11 and 12 and beyond: analysing a prompt, selective and purpose driven reading, focused note-taking, and integrating sources into texts. The focus on these essential academic skills will also provide tools for success for students from Years 9-12 as they head into their final years of secondary school. The text provided (AVID College Readiness: Working with Sources) was written primarily for senior secondary teachers, but the practical resources that will enhance reading, writing, and critical thinking are applicable at all secondary year levels. This strand is recommended for two- and four-year college and university faculty interested in exploring the framework of WICOR (Writing, Inquiry, Collaboration, Organization, and Reading) as a tool for student engagement. Participants will leave this strand with a variety of methodologies and strategies to engage a diverse population of learners. The focus will be on intentional delivery and development of high engagement strategies that will increase student persistence. This strand is designed for history/social science/humanities teachers (years 6–12) who are interested in applying high engagement strategies to increase critical thinking and rigour in the classroom. Participants will focus on Writing, Inquiry, Collaboration, Organization, and Reading (WICOR) strategies to scaffold activities in the history/social science classroom. High engagement strategies examined in this strand include Cornell note-taking, primary source analysis, interacting with text, vocabulary building, and performance activities. This strand reinforces AVID Schoolwide, and each participant will receive AVID’s The Write Path History/ Social Science: Interactive Teaching and Learning Teacher Guide. This strand is designed for leaders (administrators and AVID site coordinators) ready to deepen the impact of their AVID implementation schoolwide. Participants will understand how the four domains of “Instruction, Systems, Leadership, and Culture” impact sustainable change. The focus of this strand is to enhance the sustainability of the AVID System at participants’ schools and to embrace AVID’s mission of ensuring skills development, tertiary and work-readiness for all students through improving academic performance, social and emotional learning for success. Individuals are encouraged to attend this strand as members of a site leadership team to maximise the potential of this professional learning and the impact at their school. The participant experience is designed for both leaders who attended the leadership strand at last year’s Australia Summer Institute as well as first-time attendees.  Experienced AVID principals will mentor new AVID principals to build the AVID Australia Professional Learning community. This strand is designed for mathematics teachers new to AVID concepts and methodologies. This strand focuses on strategies outlined in AVID’s The Write Path I Mathematics Teacher Guide (provided to participants), which emphasizes the use of Writing, Inquiry, Collaboration, Organization, and Reading (WICOR) as tools for learning in the mathematics classroom. Participants will also exploretechniques for implementing WICOR strategies in mathematics courses, including: Cornell Notes, Philosophical Chairs discussions, and effective collaborative strategies. Participants will also learn about the basics of AVID and how to support the AVID system in their respective schools. Mathematics 1 is organised to reinforce the strengths of vertical team articulation. This strand is designed for mathematics teachers who have taken the Mathematics 1 strand and are experienced with AVID strategies and methodologies. This strand will introduce additional vocabulary and WICOR strategies including Interactive Notebooks and Socratic Seminars as well as deepen participants’ understanding of AVID methodologies practiced in Mathematics 1. The focus of the strand will be on ensuring that all students gain access to rigorous instruction through dynamic and engaging activities. Mathematics 2 is organised to reinforce and strengthen vertical team articulation. This is a first-year strand for primary educators who will be implementing AVID strategies and methodologies in grades K-6 classrooms. Participants will practice and discuss strategies, lessons, and activities focused on WICOR and student success skills in order to facilitate students’ access to rigorous content across all content areas. In addition, training will include opportunities to provide differentiated instruction to students to help develop a culture of student success, academic achievement, and university and career awareness. Participants will also make connections with the AVID Primary Essentials of Instruction and Culture as they look at implementation both individually and as a site team. 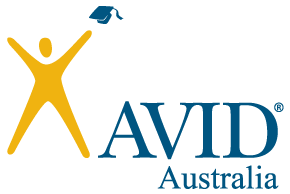 Please note: If you are interested in implementing AVID prior to Grade 3, please contact AVID Australia at AVID.australia@vu.edu.au so that we can alert the Staff Developer and accommodate your learning needs. This strand was first trialled in 2016 and has since been extensively revised with support from the Sidney Myer Fund as part of the AVID-Myer Primary Maths project. AVID Primary Maths is designed for experienced AVID primary K-6 teachers who want to strengthen their toolkit of WICOR strategies, deepen their understanding of key maths concepts, ramp up the M in STEAM, and energize their maths classroom, all with an overarching focus on combating the predictors of maths failure. Teachers should have at least one year of AVID implementation experience to scaffold to this next level of instructional rigour. Participants will examine ways to build a mathematical mindset in all students through building a classroom rich in mathematical language, metacognition, differentiation and inquiry. Furthermore, participants will explore the importance of building fluency in basic math facts and the transference and application of these concepts to real world experiences. Together we will unpack the use of note-taking and critical reading strategies within the context of mathematical problem solving. This strand is partially funded by a prestigious Sidney Myer Fund large grant awarded to AVID Australia for 2018-2020 to conduct a pilot study of AVID’s primary maths teaching and learning strategies, and professional learning system. The pilot will be conducted in seven AVID schools across three states over two and a half years. Prerequisite: Foundations (Primary) Implementation strand. This strand is designed for science teachers to apply AVID concepts and methodologies in science content areas. Focusing on the strategies in The Write Path 1 Science Teacher Guide (provided to participants), this strand emphasises the use of Writing, Inquiry, Collaboration, Organisation, and Reading (WICOR) as support structures for learning in the science classroom. Participants will learn how to apply WICOR methodologies to strengthen student processing in the science classroom. The strand incorporates strategies for implementing critical reading and writing-to-learn processes, Cornell Notes, interactive notebooks, effective use of discussion, and experimental design in science courses. Science 1 is organised to reinforce the strengths of vertical team articulation. This strand is designed for science teachers continuing their training in AVID methodologies. These teachers are experienced with WICOR strategies and are interested in achieving a better understanding of the rigour required to prepare students for challenging science courses. Participants will examine ways to engage students in interacting with and reflecting on content in order to develop and deepen knowledge. The strand incorporates additional WICOR strategies through intensive hands-on and mind-on activities that use the interactive notebook and the critical reading process to support rigorous instruction for all students. This strand is for new AVID sites and is written for first- year AVID content teachers, Elective classroom teachers, and AVID site coordinators. This strand focuses on the academic and organisational skills needed to effectively advocate for AVID students and to build the AVID schoolwide focus across a school. Curriculum: Focused Note-Taking CD; AVID Elective Essentials for High School and Focused Note-Taking CD; AVID Elective Essentials for Middle School and AVID Elective Essentials for High Schools. This strand is designed for teachers of any subject area including business, computer applications, visual and performing arts, health and physical education, and other elective classes. Participants will gain an understanding of how skills development, tertiary and work-readiness can be supported in all subject areas. Additionally, participants will learn about AVID methodologies and WICOR strategies such as goalsetting, focused note- taking, organisation, and time management. This strand will focus on incorporating these university readiness skills into all classes, from physical education to visual arts across secondary school. This strand is designed for AVID Elective teachers, AVID coordinators, and designated site team members. Participants will learn to train, monitor, and coach tutors and students in implementing rigorous tutorials that increase student achievement. Please note that if you have already been trained in the 2012 Tutorology materials to meet Certification requirements, we recommend that you take a different strand.